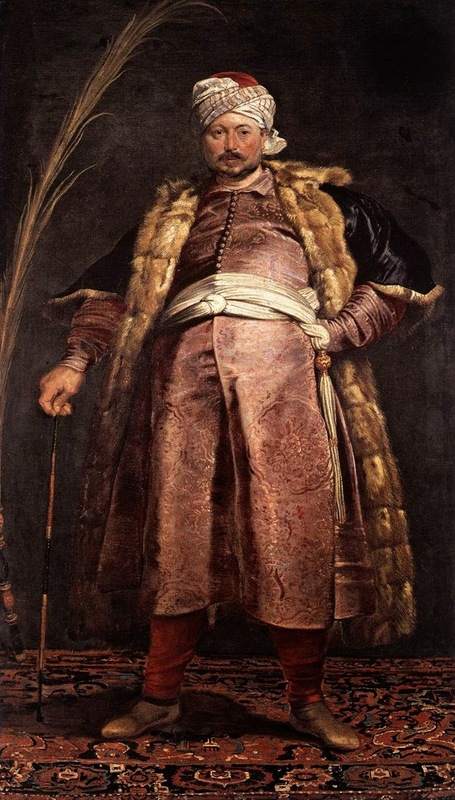 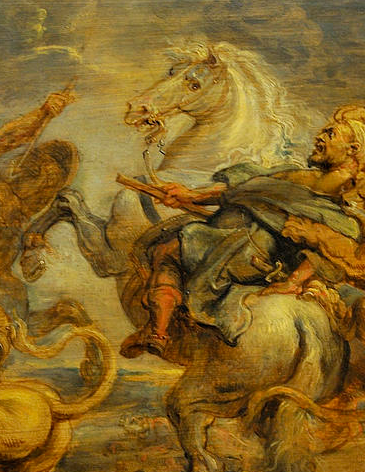 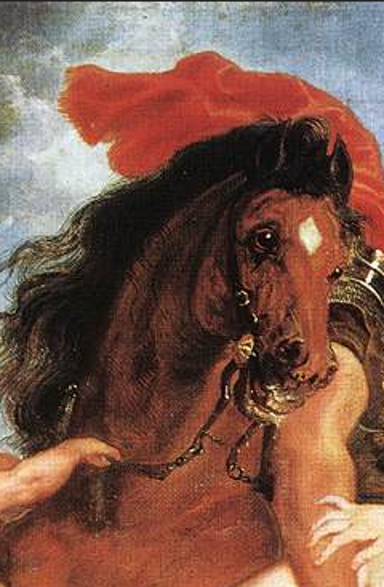 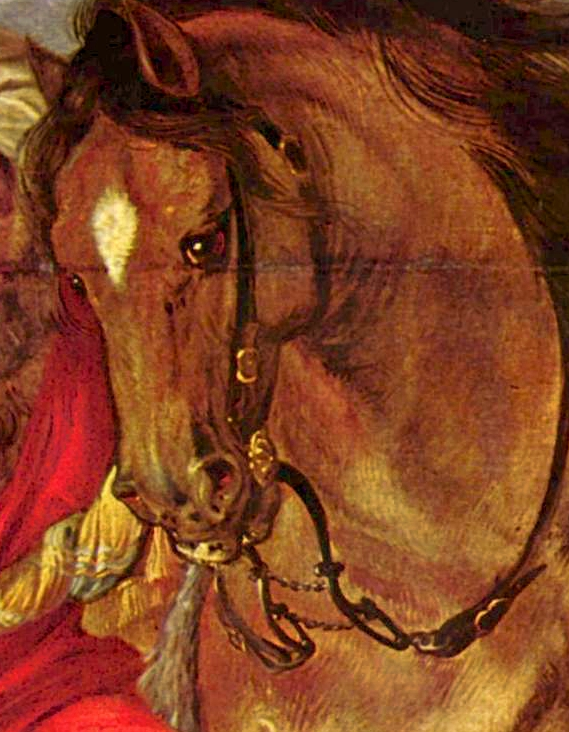 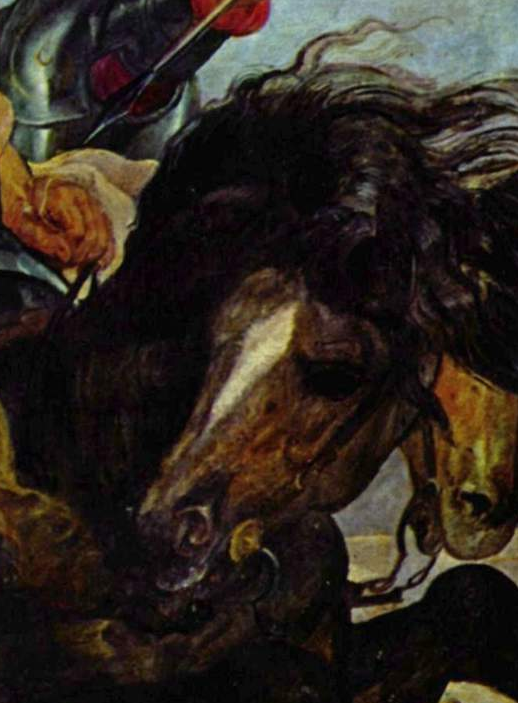 I admire the art created by one of the greatest painters of all times, Flemish painter Peter Paul Rubens. 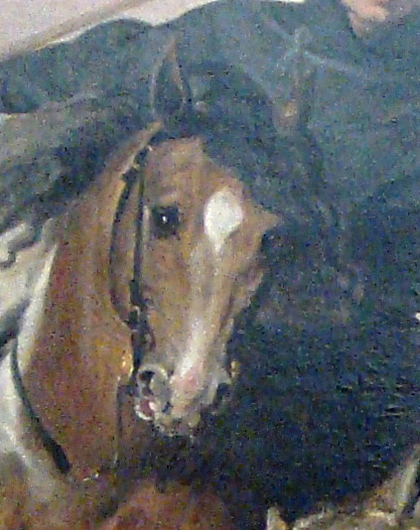 I admire his work more than that of Rembrandt. 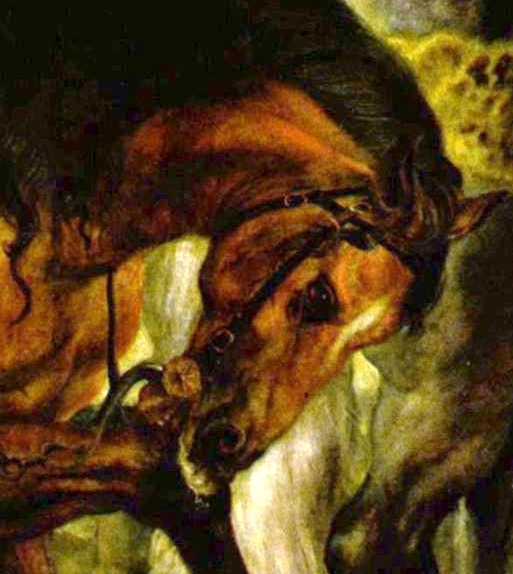 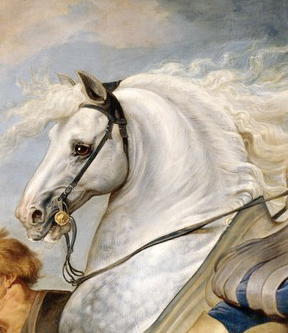 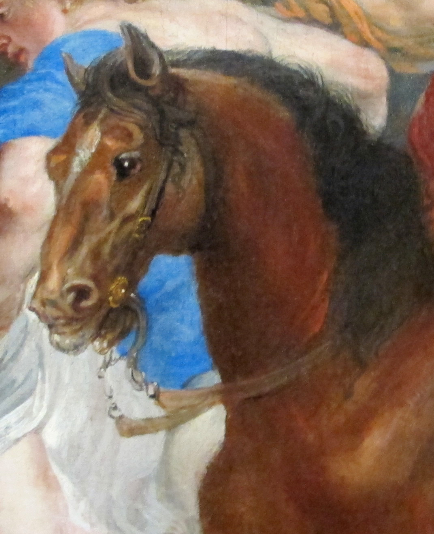 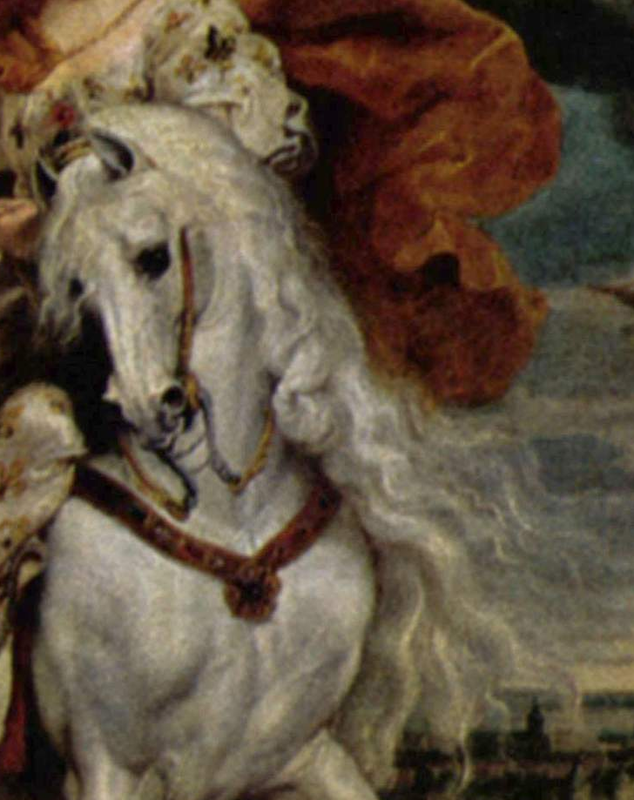 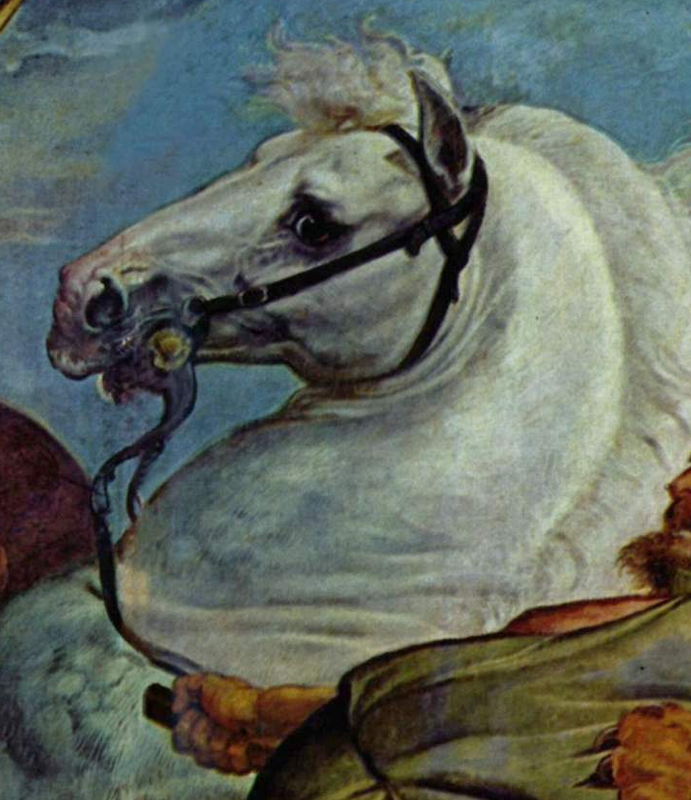 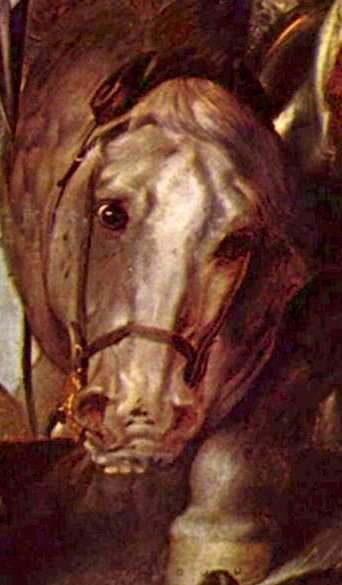 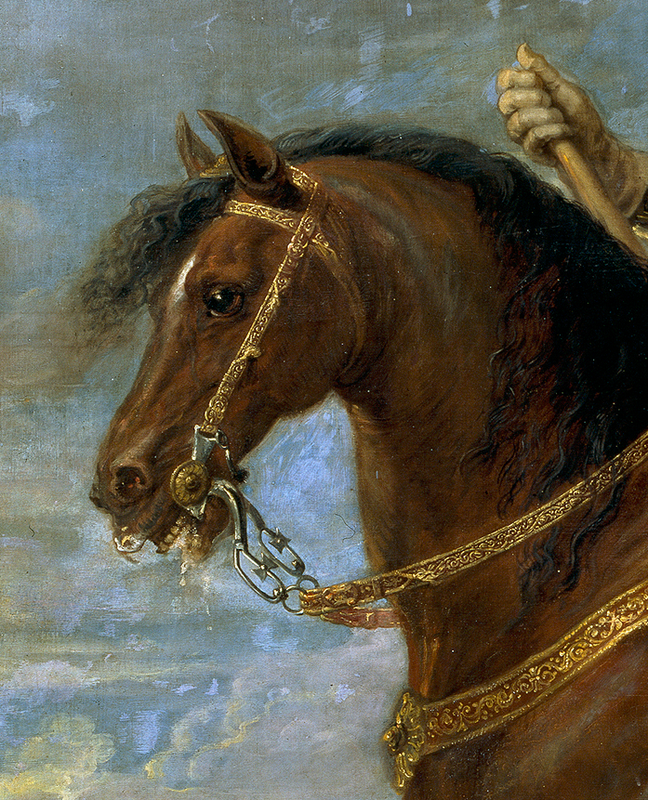 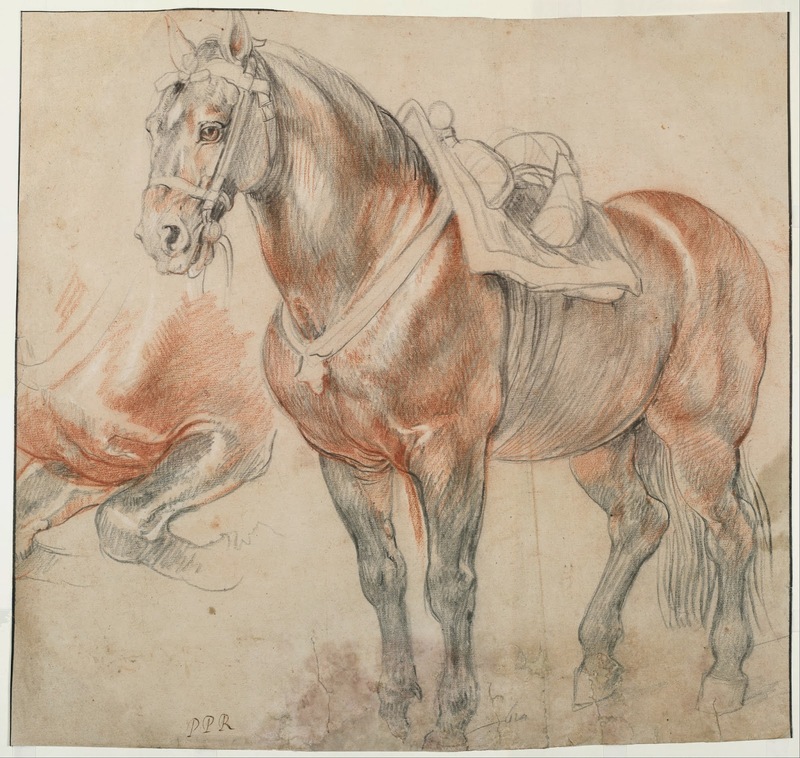 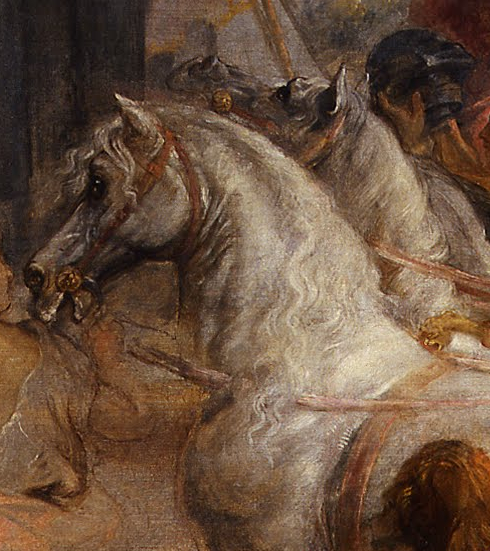 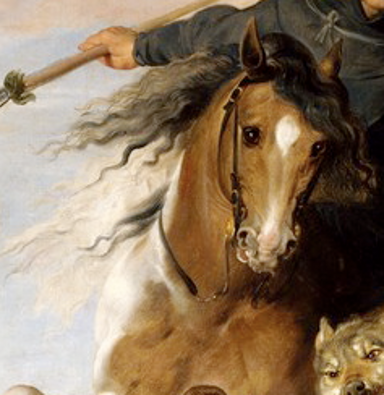 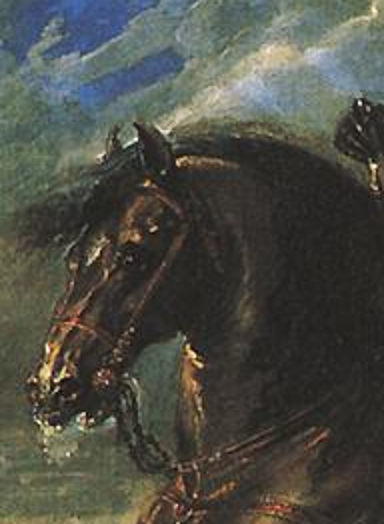 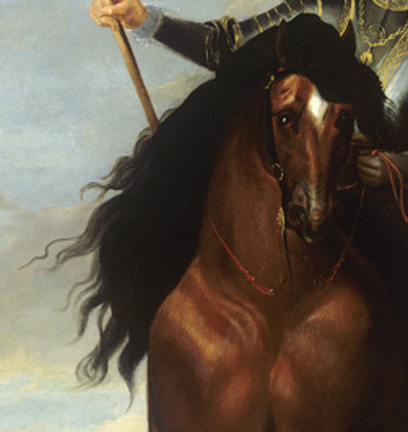 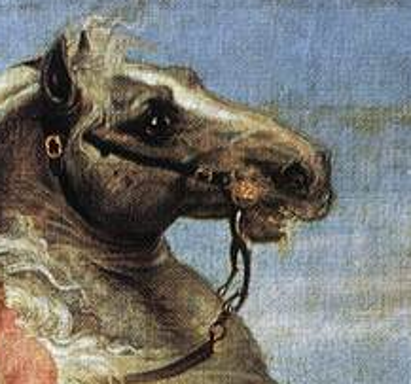 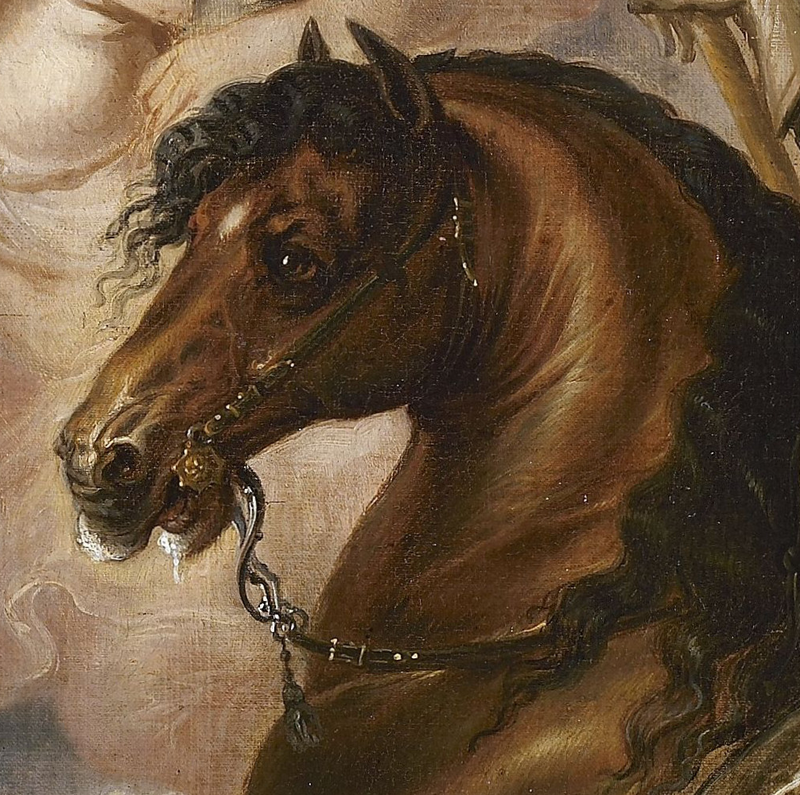 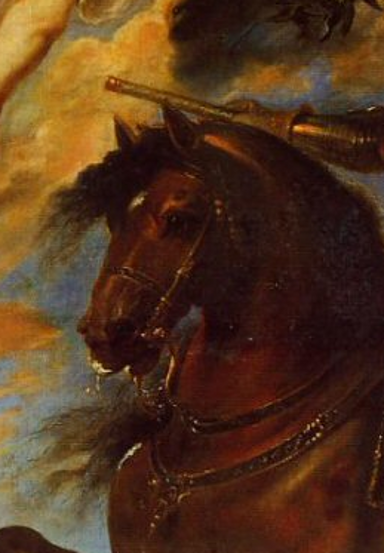 I guess it is the matter of taste, as the saying goes de gustibus et coloribus non disputandum est..
Great drawing of a Baroque horse, saddled and bridled with a curb-bit, but curiously no stirrups nor reins. 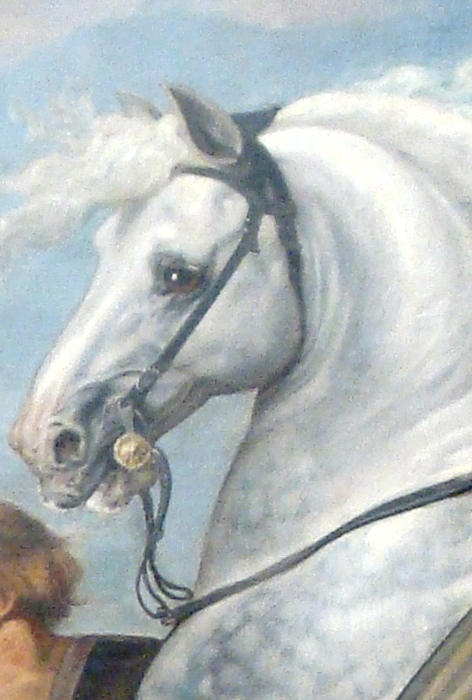 Motivated by the winter weather around us I selected some horses from his paintings, admirable portrayals of our equine companion. 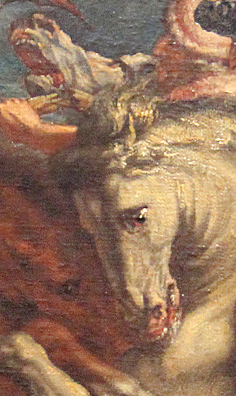 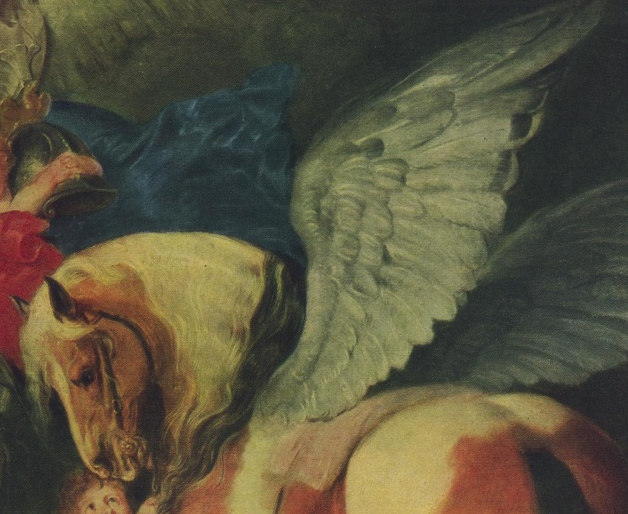 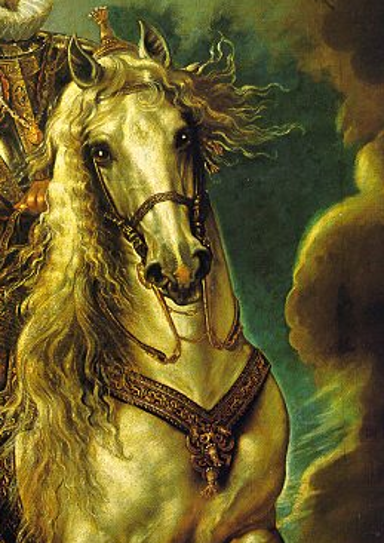 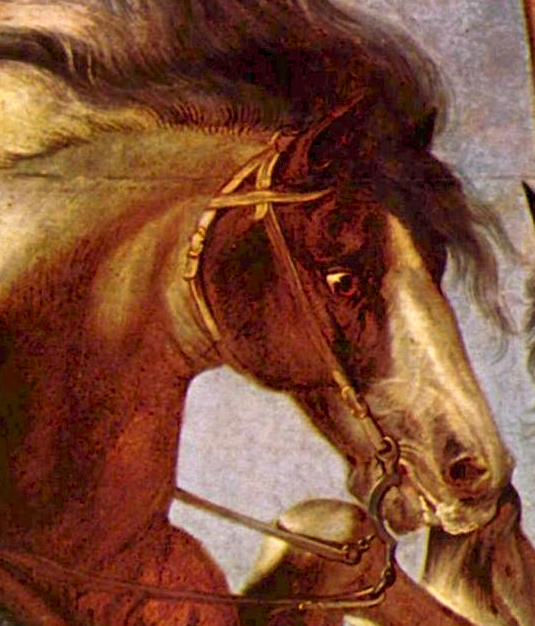 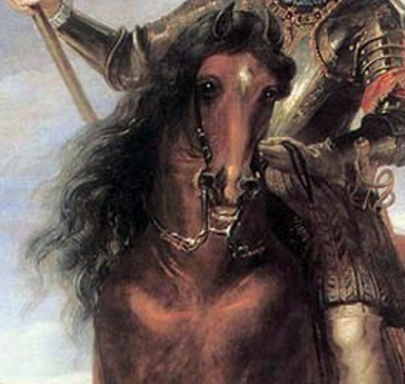 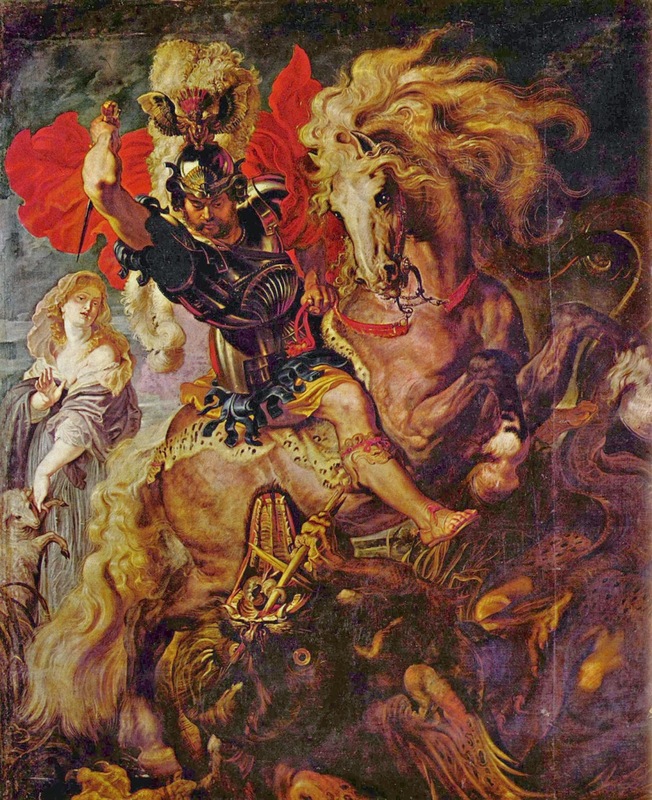 images from Wikimedia Commons - the first painting is titled Saint George and the Dragon, painted 1606-1610. 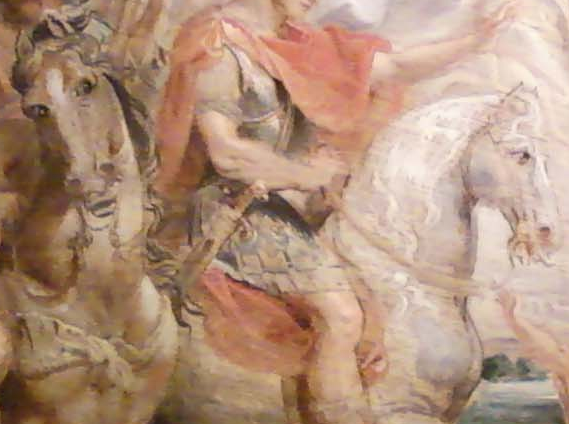 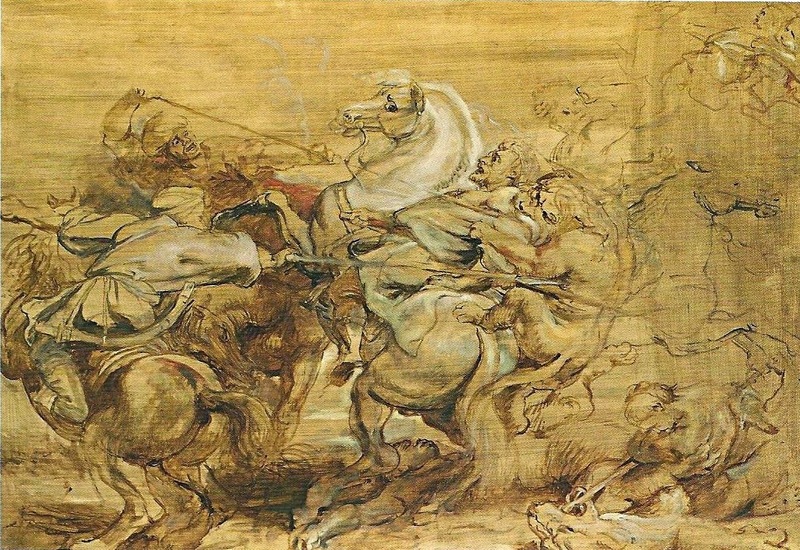 Hi dear Dariusz, in the Peter Rubens' works one can see influence of that famous Leonardo's Fight of giants, what he copied. 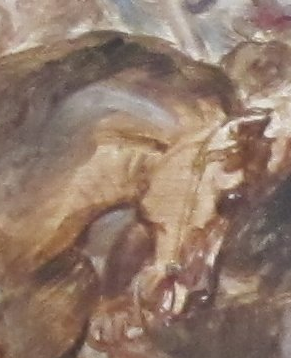 The other fun, I discovered, is the horses hairdo- showing some influence of the Baroque epoch;-))The hairs curled like in those wigs.